It's been a busy month and a really fun catching up with life and getting my craft on. Today i have a card to share that i did for a co worker at the castle. It's a little fun and whimsical but those are the best kinds of projects to create because they make you laugh and have fun! 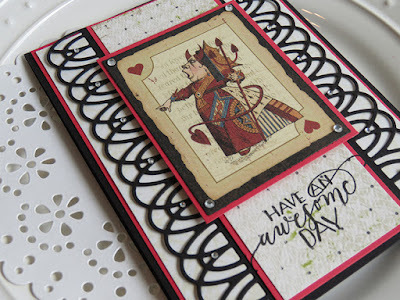 I created my card with another one of Becca's amazing border dies called "Graceful Sweet Words". It's a gorgeous die set and i really loved this loopy kind of border that came in the set so i cut/embossed two pieces in black to go on either side of the Queen of Hearts tag and added sweet rhinestones to it to bling it out a little. The rest of the colors i coordinated with the queen image so it all fell into place and it was really fun to do. 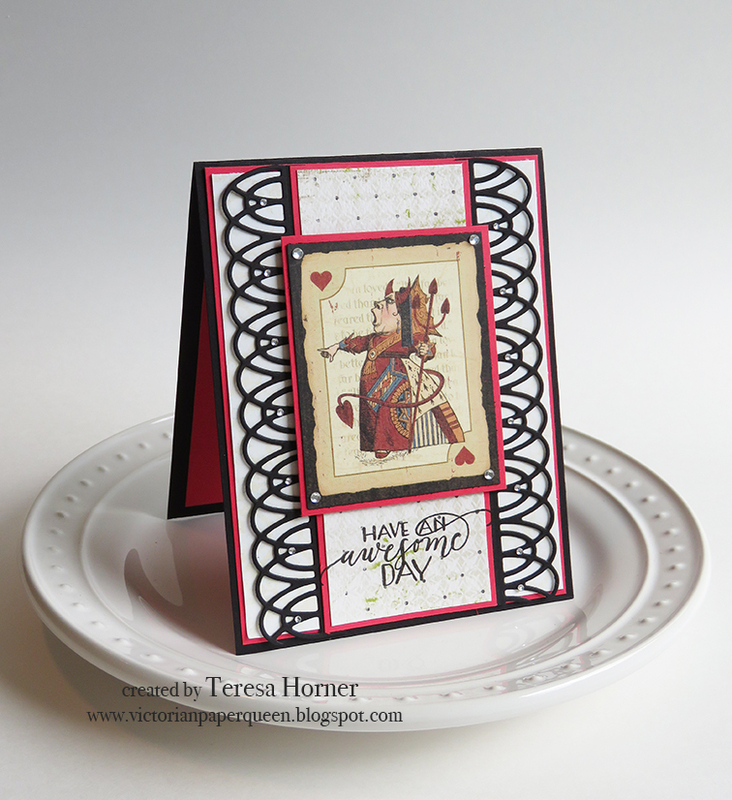 The stamp is from a brand new release of dies from Quietfire Designs and they are clear stamps and work amazing. You are going to really love these little gems. Thank you so much for stopping in this week and i hope to have lots of new things to share soon.